Associate Professor Rosie Hauck’s Advanced Business Systems Analysis class is all about bridging business needs with technology solutions. It also offers a great deal of real-world, practical experience for those majoring in business information systems (BIS). 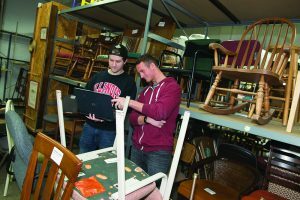 Each semester, Hauck works with a local organization in the community to improve some kind of business process. Her students spend the semester working with the chosen organization to identify challenges and implement solutions. The ultimate goal is to pull all their classes together, such as marketing, management, accounting, and technology, into somewhat of a capstone project. 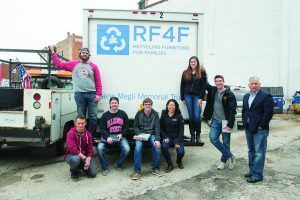 Hauck’s most recent spring 2017 class partnered with Recycling Furniture for Families (RF4F), an organization that accepts and distributes furniture to families living at or below the poverty line. 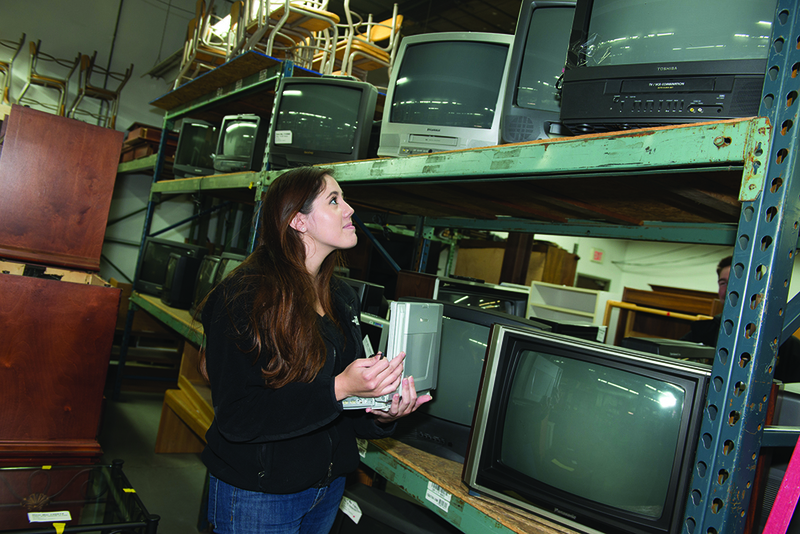 Hauck’s students helped RF4F with an inventory-tracking system, improved its client database, and created an interface that streamlined the process for gathering client and volunteer information. In addition to practical experience, students graduate as a certified ScrumMaster (CSM). This project management credential is valuable in the workplace as it fosters collaboration and productivity for high levels of performance. Hauck incorporates Scrum into her class as a way to approach projects in a nontraditional manner. It also allows students (and professionals) to deliver a product in a short amount of time. Kristen Dunne and Tyler Walgren were part of Hauck’s class and are grateful for the practical experience they received. 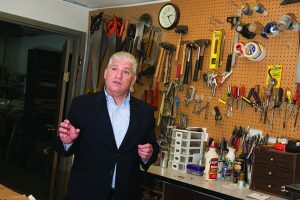 “The class taught us how to work with real-world problems, which helped us grow personally and professionally,” Dunne said. The “real problems” Dunne and Walgren faced were everything a true professional might encounter, including group communication, technical challenges, and stressful timelines. And just like a professional, they had to use the issues as a learning experience. Encountering those kinds of issues made students unsure of what the outcome would be, but in the end, it was worth it. “To see ourselves overcoming a learning curve and our products implemented is the coolest thing. I can’t wait to watch people benefit from them,” Dunne said. Thanks in part to the experience of Hauck’s class, both Dunne and Walgren graduated in May with jobs as support engineers at iManage, a leading provider of work product management solutions for professional service firms. The efforts of Dunne, Walgren and the rest of Hauck’s class will likely have a major positive impact on RF4F. Downes said the systems this project produced will allow the organization to have a solid foundation to run well into the future. 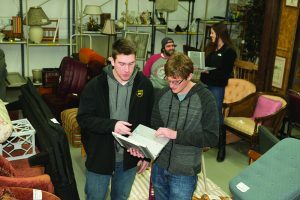 “I hope the students were able to see the impact that organizations like Recycling Furniture for Families have in their communities and how important their knowledge and experience can be to help nonprofits fulfill their mission to the communities,” Downes said. If you would like to support programs like this, please consider contributing to the Recycling Furniture for Families Fund. To donate online, click here.